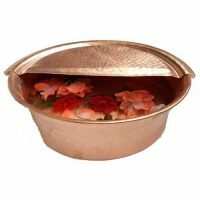 Beauty Salons and Health care clinics use copper Therapy portable pedi pots to wash bath rub soak foot for skin, muscles, body relax healing relief. 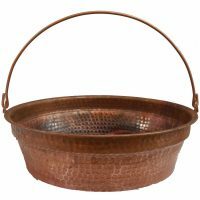 EPA recommends natural raw pure virgin copper not coated surface to fight bacteria, viruses and germs. A pedicure is a personal care cosmetic beauty treatment for the feet and legs up to the knee to remove dead skin cells, massaging, exfoliation, moisturizing, prevent nail disorders and diseases. Unlike a manicure which is a finger nails and hand massage beauty process performed at home or at a nail salon. The pedicure process is DIY at home using portable bowls or at spa station using clean and sterile tools to maintain the hygiene and toenails growth. There are various types of pedicures while most tubs include foot soak, foot and calf massage, foot scrubbing and nail cosmetics. 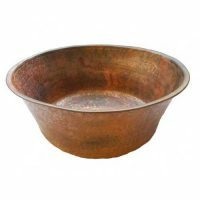 Ancient Egyptians used ionized copper to purify water. 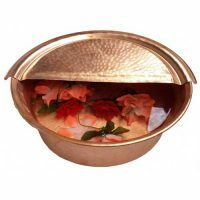 Foot bath wash in a Copper spa pedicure can help to achieve a healthy immune system. 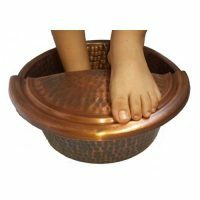 Copper foot basins spa pedicure bowls are an essential part for foot massage. 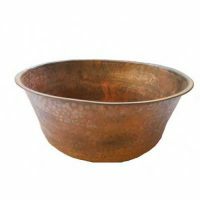 Copper is one of the earliest metals to be used by humans. 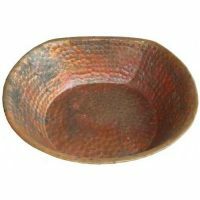 Ancient Egyptians used Copper to make tools, jewelry and weapons at early stages of history. 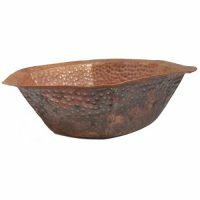 Romans architects builders used copper in construction to build decorative roofs, doors, fixtures, walls, domes, gutters and ceilings. 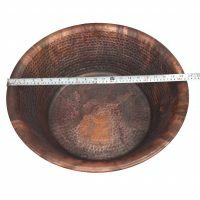 Our copper foot basins are lead free, eco-friendly and green solution to implement the practices that will lead to healthier living for the planet and our future generations. 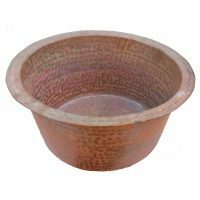 The use of recyclable copper leads to avoid using chemicals which are harmful to people and environment. 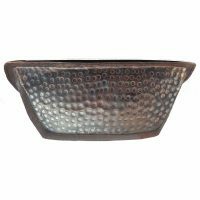 Our copper products will be recycled to new products and the recycling process will last for ever. 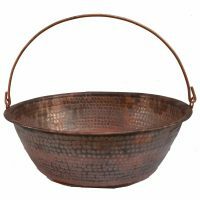 Copper has proven to be Antimicrobial and anti contamination. 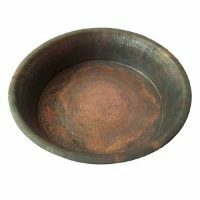 Copper surfaces prevent serving as reservoirs for the spread of microbes. These germs can often survive on surfaces for long periods of time. 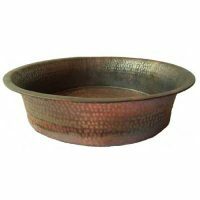 Copper foot basins Tubs sterilization are essential for public pedicure stations for sanitation and safety purposes. EPA issued cleaning and disinfection procedures for foot spa basins in salons to prevent foot spa pedicure infections. Physical and mental benefits includes relax tired feet, improve blood circulation, increase strength and stamina, enhance joints, lower pitta, help internal organs, induce sound sleep, calms the body, restore energy and reduce stress, anxiety, depression. 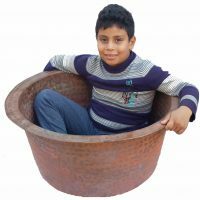 The body absorbs a small amount of copper to aid in the creation of hemoglobin and to relieve arthritis joint pains. 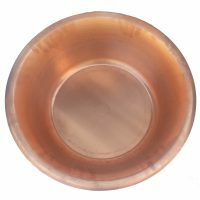 Copper is used mainly in healthcare facilities to reduce infections, where harmful viruses, bacteria, and fungi colonize and persist on doorknobs, railings, tray tables, tap (faucet) handles and many other tools and equipment. 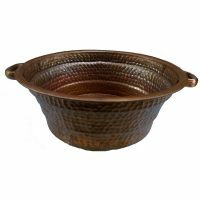 Our copper foot basins spa pedicure bowls tubs are handmade by highly skilled Egyptian artisans that have learned the trade of copper smith for generations. Each piece is a work of art. 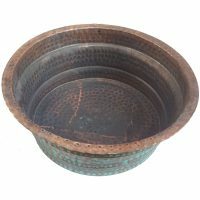 Our bowls are Comprised using one Piece Construction using Pure Natural lead free copper to achieve study and non leak bowls. 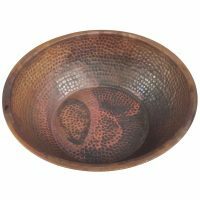 Due to the nature of copper handcrafting, the bowls might have unintentional few imperfections or variations which add value, interest and characteristic to the bowls. 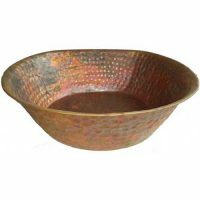 Several copper surface finishes are utilized to address all clients decor demands. 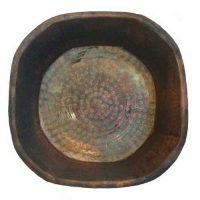 Our main finish is shabby chic industrial style rustic matte fire patina by heat fire burning the copper bowls. 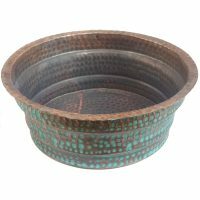 Other finishes are polishing, oil rubbed antique patina, old world vintage antique appearance green turquoise verdigris and nickel plating. Lacquer or sealer is applied to keep the finish for long time. 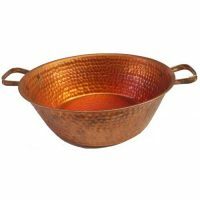 Otherwise, copper naturally has a living finish that tarnishes by time. 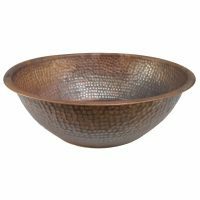 All finishes can be applied to satin or hand hammered surfaces. 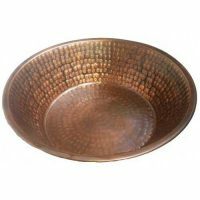 Textured copper surface are scratch resistant unlike satin surface. 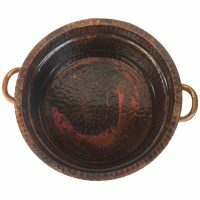 Lacquer sealed copper bowls do not provide a anti-microbial surface. 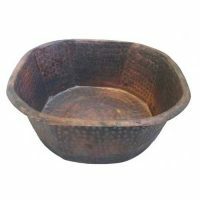 Non lacquer Raw original copper surfaces are natural and will prevent germs and bacteria to grow on the surface of the bowl. 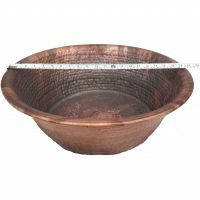 Our copper foot basins spa pedicure bowls are almost maintenance free. 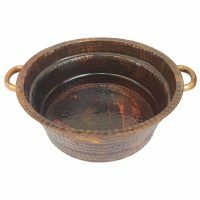 They are cleaned by wiping the surface using mild bleach, or hospital grade disinfection solution using soft cloth to restore the pedicure original copper surface beauty. 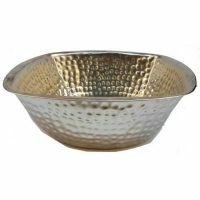 Allow feet to soak in a pedicure bowl of warm to hot water for few minutes. Soaking feet in water can be performed with or without scented essential oils or foaming gel. Rub the foot after soaking. Towel dry the foot when finished. Massage can be performed with or without oil or lotion. Hold the foot with both hands,Press as deeply as you feel relieved, focus on sore spots, Rub the top of the foot firmly with your thumbs, move slowly all the way up to the ankle. rub in a circular motion around the ankle bone on either side. Make small circles with medium to heavy pressure around the entire heel. Repeat this action on the ball of the foot. Use a fist to massage the arch of the foot. Bend your toes back and forth, slide your thumb and index finger back to the base of the toe, Massage the sides of each toe and the space between the toes. Massage the tops and bottoms of each toe, Grab your heel and squeeze. 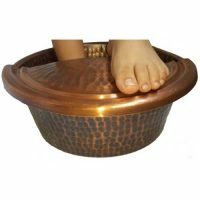 We sell our copper pedicure foot spa basins soak portable bowls tubs with or without foot rest top. 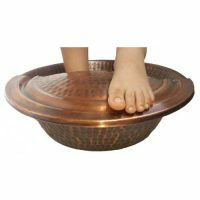 the foot rest is used to lay one foot at the top while having a message therapy for the other soaking foot in the bowl. 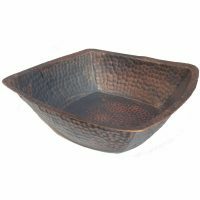 The foot rest is a separate piece and not attached to the the pedi and usually comes with a finish similar to the pedicure bowl. 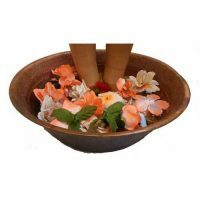 Pedicure bowls designs are with or without drains or footrests. Pedicure bowl dolly sometimes is used for rolling around pedicure bowls without straining user back or muscles to empty it. 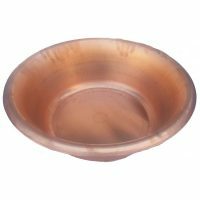 This dolly is best used for pedicure bowls that do not drain. 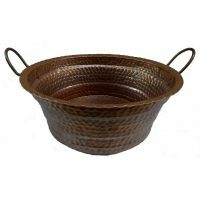 Meanwhile, other portable pedicure bowls with drains are easy to handle and known as pedicure bowls sinks. We supply rehabilitation healing wellness centers, nail shops, beauty salons, resorts, massage places, health care medical clinics, fitting centers, gyms, Pedicurists, beauticians, therapists, cosmetologists, nail manicure technicians and private homes retail and wholesale.